Lemon flavored desserts rank high when it comes to sweets in our house. I would have to say that they come in at a close second after chocolate for me. 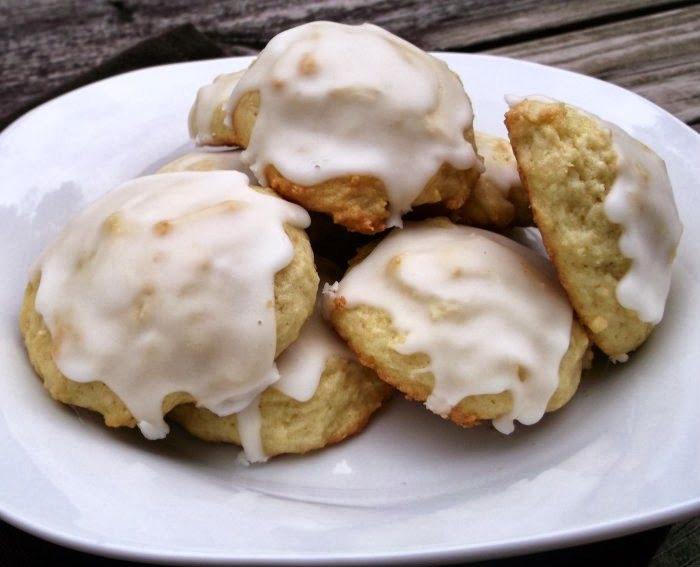 So when I was looking for a new cookie recipe and came across these lemon drop cookies I knew that they were a must to make. The lemon flavor was not the only thing that grabbed my attention on these cookies; the soft part also was a big plus. My family is not big on crisp cookies, they like their cookies soft. Me on the other hand I love a crisp cookie, but I love the soft ones as well. These cookies turned out to be soft and a nice tangy lemon flavor. 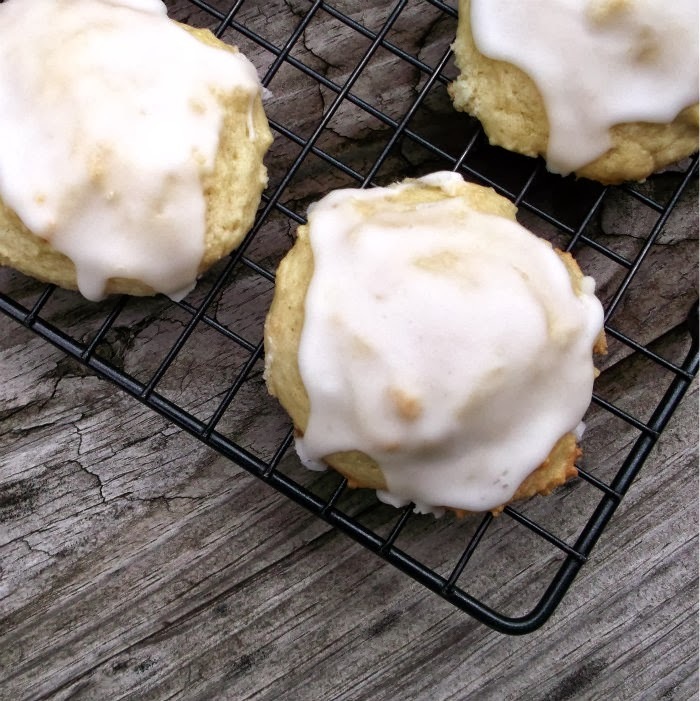 I know that I have posted a couple of lemon cookie recipes on my blog in the past, but I have to say that these are definitely the new favorites… so yummy! 1. Heat oven to 350 degrees F. Combine sugar and butter in large bowl. Beat at medium speed, scraping bowl often, until creamy. Add sour cream, eggs, lemon zest, and lemon juice; continue to beating until well mixed. Add flour, baking powder, and salt; beat at low speed, scraping bowl often, until well mixed. 2. Drop dough by rounded teaspoonfuls 2 inches apart onto greased cookie sheets. Bake 10 to 12 minutes or until lightly browned. Cool completely. 3. Combine powdered sugar and enough lemon juice for desired glazing consistency in small bowl. Frost cooled cookies with glaze. 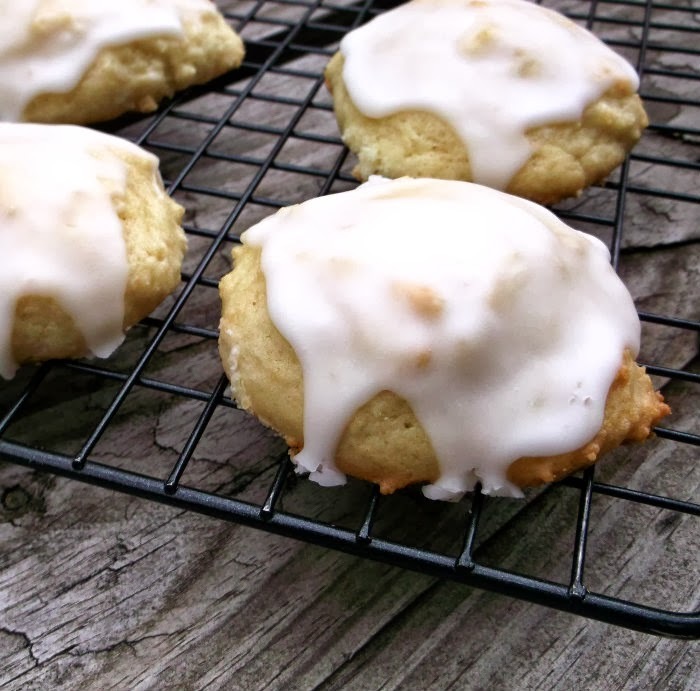 I’m a big fan of lemony sweet treats also and i just know I’d adore these cookies! Lemon desserts are my favorite – these look wonderful! One can never have too many recipes for lemon cookies! These look wonderful – thanks so much.